Inspired by this past weekend’s Women’s March? Whether you were on the streets or moved by the pictures of rallies held around the world, it’s hard to deny the power in seeing so many people from different walks of life band together at a time of such uncertainty. In the spirit of keeping the conversations going and bringing diverse stories and experiences out into the open, here are five short docs directed by women ready to fuel the fire. March on! No listicle or curated playlist focusing on women in film can neglect the impact of Studio D. This now-defunct branch of the National Film Board of Canada asserted a place for women in film and anticipated the commitment to gender parity in production introduced last year. 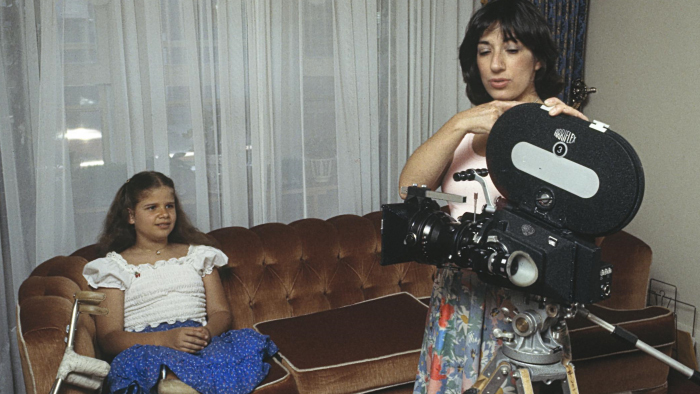 Beverly Shaffer’s Oscar-winning short I’ll Find a Way is a great example of this spirit as it foregrounds the roles of women behind the camera as the director and her crew create an easygoing rapport with their subject. This inspiring portrait introduces audiences to Nadia, a nine-year-old girl with spina bifida, who readies to attend a “regular school” despite knowing the hard times that await her. Her attitude? “I don’t know how to deal with them, but I’ll find a way to,” she tells the camera with a smile. Here’s a short doc to tweet to the man in the Oval Office. A Mother and Daughter on Abortion uses a simple approach to a complex issue as two generations of women share their experiences with abortion. The doc puts a mother and daughter in conversation and their discussion reveals the personal experience in trying to obtain an abortion before and after the 1969 amendment to the federal law. Thirty years after its production, this doc is more relevant than ever. Isn’t it much better to keep the conversation open and the attitude progressive, Mr. Trump? Mother Carol Roache opens up in the haunting short Walk Good as she shares her experience with gun violence. Roache’s story devastates as she reveals how she lost all three of her children to gun violence in the streets of Toronto. Each chapter in the doc, marked by the news anchors’ reports of her children’s death, lets the toll of these deaths sink in as Roache recounts the pain of each loss. By sharing her story, Roache refuses to let her children’s deaths be mere statistics. The film is a melancholy and poetic call for the violence to end. This entry in the short film series “Vistas” celebrates the traditions the Heiltsuk people that are passed on between generations. The doc weaves the creation of a button blanket with images of traditional dance as director Zoe Hopkins portrays the passion and labour that goes into keeping a culture alive. Striking punctuation marks of animation inject additional spirit, while the drum beats are fuel for future marches. Long before Rosita the flamenco teacher inspired women to stomp their feet and shout “My space!” in Mike Leigh’s Happy-Go-Lucky, the fiery sounds of flamenco burned up the soundtrack of this NFB short. Flamenco at 5:15, this writer’s personal favourite from the Studio D archive, offers a wonderfully inclusive dance party as director Cynthia Scott chronicles the passion and spirit of a flamenco class at the National Ballet School of Canada. The doc pulses with the fiery flamenco rhythms as the students interpret the music and refine the moves of this classic art. At the centre of the film is the wisdom and experience of teacher Susana Robledo, who shares her views on why this dance endures for generations. A well-deserved winner of the Academy Award for Best Documentary (Short Subject).